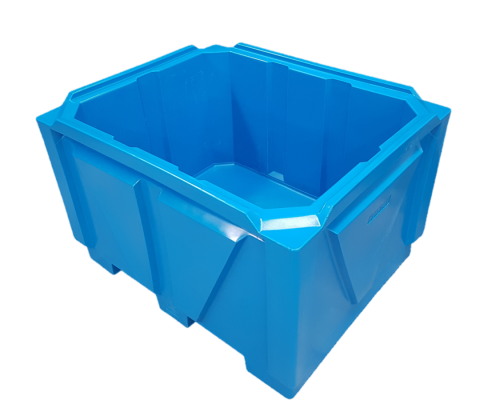 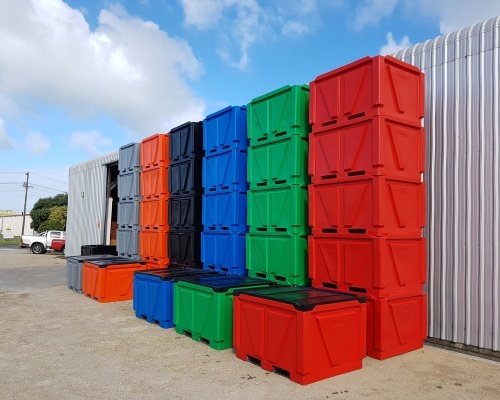 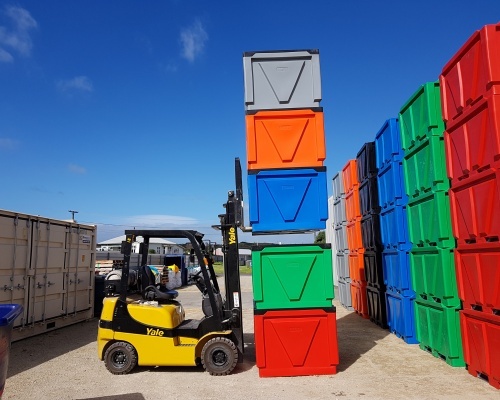 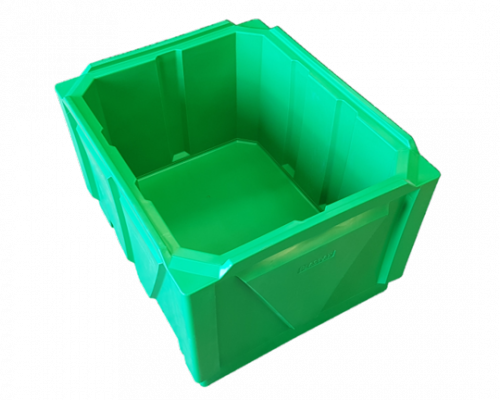 Box Pallet Bins have many uses such as Fruit Bins, Picking Bins, Vege Bins, produce bins, Vegetable bin, kiwifruit bin, food and beverage containers, Meat bin, Fish Bin, food processing bins, pet food, hide bin, laundry bin, waste bin, industrial bin, bi products, skins and hides bins, bulk bins, storage containers, dry goods containers, produce crates, parts storage bins, liquid holding bin, medical waste and many other uses. 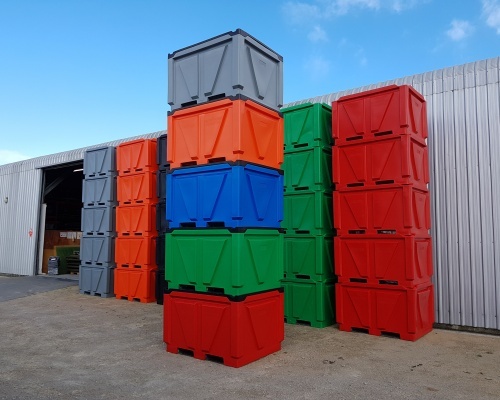 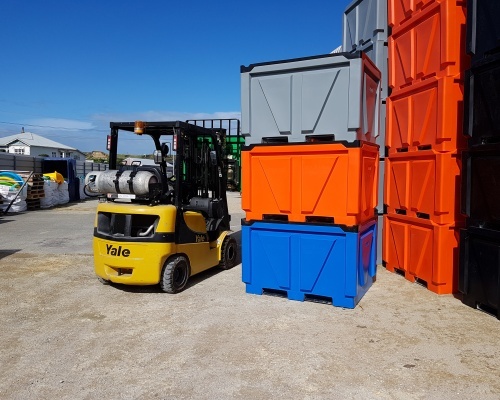 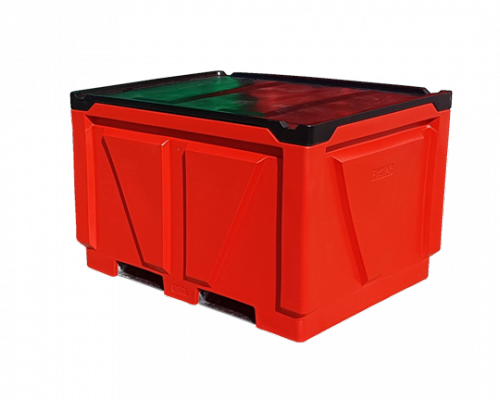 The PLAST-AX 900L Twin Wall bin is a heavy duty option to Nally and Dolav light weight equivalent sizes. 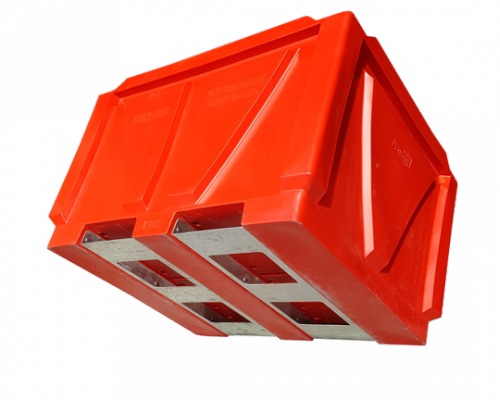 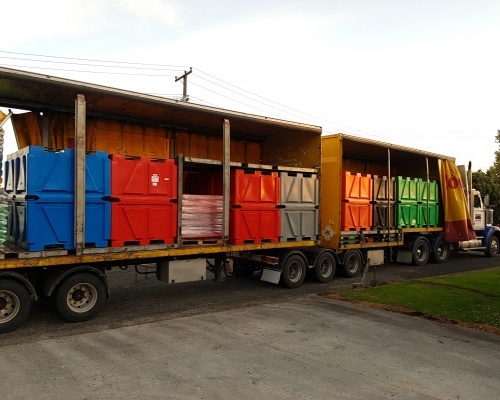 Galv Steel forklift rotating plates bolted to moulded in M10 fixings provides a solution that has been well-proven by our customers in meat processing plants, tanneries and trucking companies for years.